You are here: Home / Trade Show Booth Rental / Are Your Trade Show Booth Ideas Practical For All Audiences? Are Your Trade Show Booth Ideas Practical For All Audiences? Your trade show presence is an important part of your marketing strategy. Your trade show booth ideas should focus on attracting prospect’s new business. Since they may have never heard of you, it’s imperative that they stop and make a business connection. A substantial amount of time and money is put into your exhibit. Make sure that you are using those resources wisely by displaying the fact that you can address the needs of attendees. Your sales staff can court your present customers. Focus your trade show booth ideas on attracting new business leads by identifying the needs of the attendees of each show and collecting as much contact information as you can. In order to be successful, your trade show booth ideas should reinforce your brand at first sight. Attendees make snap decisions about which booths they will spend time at, so if they don’t feel that you are the vendor that can be depended on, they will pass you by and you will have missed out on an opportunity for lead generation. While it’s always nice to be able to share the success story of your business, resist trade show booth ideas that focus on the history of your company or a cluttered and hard to understand collection of visual information. Display stands and trade show exhibits should let attendees make a decision about whether to turn in or keep strolling down the aisle within seconds. If they do decide to stop, make sure that staff is ready to collect their contact information and answer their questions. Once the initial connection is made, there will be time for future interactions that can start the business relationship—and increase sales. Do You Have A Versatile Trade Show Exhibit? Don’t think that the tradeshow displays that proved success at one exhibition will work at every exhibition. Embrace the fact that each exhibition will attract a different type of audience, even within the same industry. Your trade show booth ideas should allow for display stands to offer flexibility in the messaging. 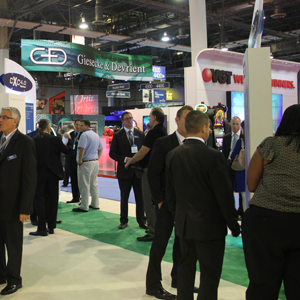 You want be able to attract different types of audiences to your trade show exhibits. The space you are given for you tradeshow booths will vary at each venue. It’s important that there is enough room for visitors to feel that your booth is inviting. You want them to feel that it is worth the effort of stopping to initiate contact. After all, this is what will lead to a profitable business relationship in the future. In many cases, trade show booth rental is the answer to making your participation versatile. Keep your trade show booth ideas fresh. Focus on standing out from your competitors with a visual message that can be seen from a distance. Use banners and graphics that will attract the attention of the niche of attendees of each specific trade show while at the same time reinforcing your brand. I think trade show booths should be interactive with potential customers, not a glorified information booth. I agree Jennifer. Many businesses have very interactive trade show booths. The technical type businesses love to have demonstrations and let the convention attendees try them out.